For alkenes, a stereodescriptor that indicates that the two priority groups are on the same side of the p bond. 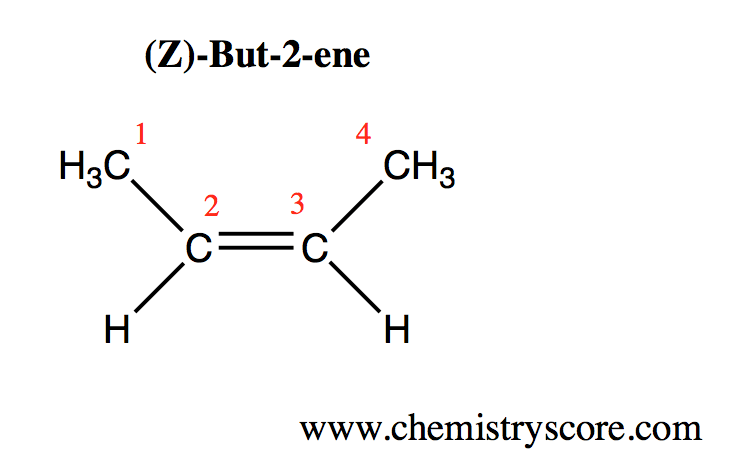 After naming the priority substituent groups on the double bonds, the Z notation can be determined. If both priority groups are on the same side, then it is considered a Z. Let’s take a look at the image below for further reference.